Grand Master Shigeru Oyama 10th dan and his wife Patricia were invited by OYAMA Polish Karate Federation to Krakow. Soshu conducted two kata trainings and a black belt test as a part of 15th International Schooling-Qualifying Seminar in Poland. 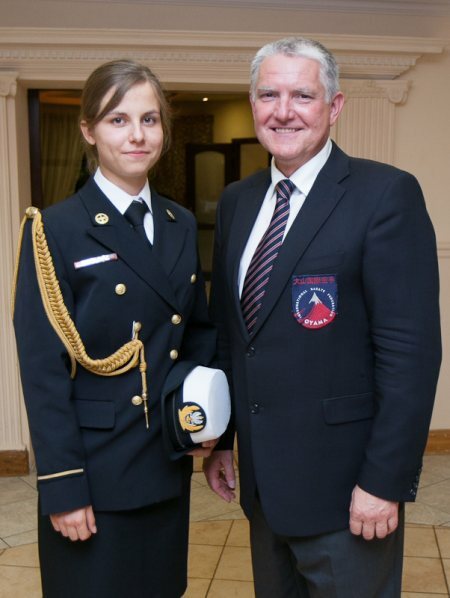 Over 200 instructors and competitors from Poland, Russia, Belarus, Estonia, Germany and Ukraine took part in this event. Due to a visa matters guests from Pakistan, Iran, India, Nepal and Azerbaijan could not arrive. During the seminar there was an OYAMA International Karate Federation - Country Representatives Council lead by Hanshi Jan Dyduch 8th dan. During the meeting representatives discussed the organization of Oyama Karate European Championships in Witebsk, Belarus. 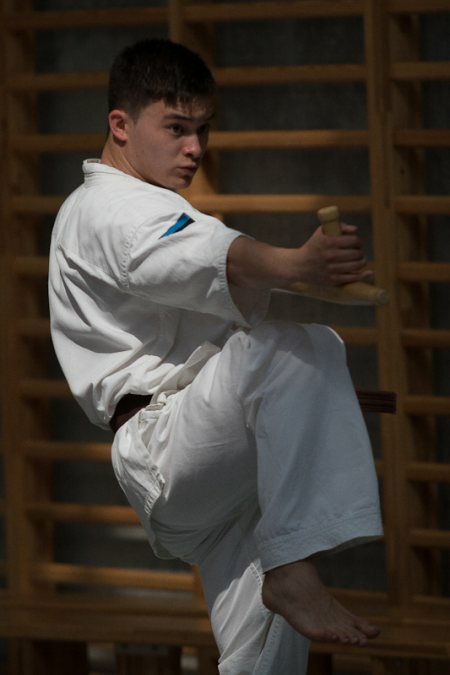 During the anniversary seminar, Soshu led two trainings focusing on advanced kata: Taizan (tonfa) and Kanku Dai. During the first one, Grand Master focused on blocks and implementing them in the whole sequence. Besides the participants of the exam a large number instructors and competitors attended the seminar. 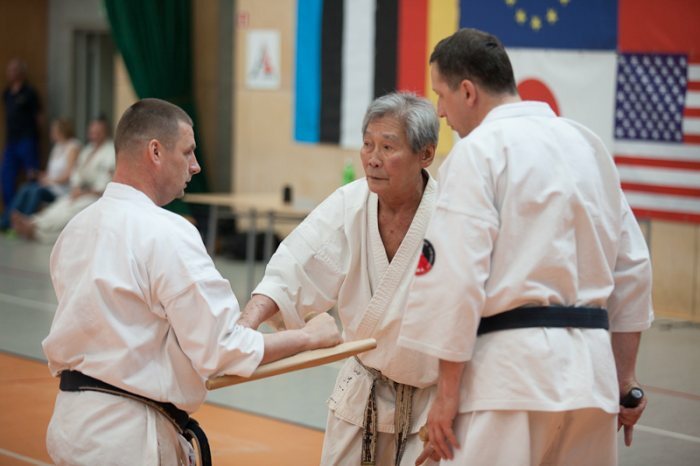 Soshu Oyama, Shihan Pierzchala and Sensei Bretner during the Taizan training. During the Kanku Dai part of the Seminar, Soshu showed the applications characteristic for this classical form and underlined the tempo of the moves and key combinations. Grand Master thought with a lot of patience and adjusted all the mistakes that he saw. 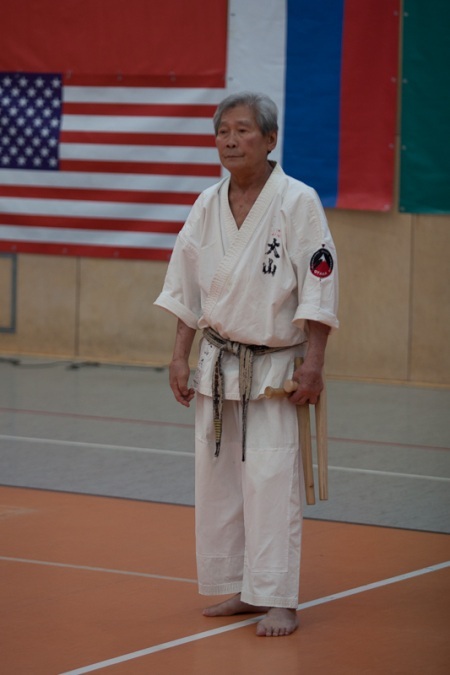 Soshu was assisted by Shihan Andrzej Pierzchala and Shihan Pawel Pajdak. Both Shihan prepared candidates for the black belt test. All the participants received a diploma for the participants in a seminar. After the kata form practice the first part of the promotion test took place. Exam was conducted by Soshu Shigeru Oyama 10th dan and Hanshi Jan Dyduch 8th dan. Saturday evening was a reserved for the technical part of the exam for people over 35 years old. On Sunday group under 35 years old took technique test. Both groups went trough kata and combination presentations as well as formal kata with weapons, Bo, Tonfa, Sai. During the kumite part, candidates for the black belt fought hard fights with sparing partners changing in rotation. These were exhausting fights forcing candidates to overcome their weaknesses by gigantic effort. Grand Master appreciated the high level of the candidates and congratulated Hanshi Jan Dyduch on his schooling success. I the end Hanshi thanked Soshu Shigeru Oyama for the seminar and promotion test and his kind words. Hanshi also addressed Shihan Andrzej Pierzchala 6 th dan, Shihan Pawel Pajdak 5th dan, Sensei Rafal Majda 4th dan and all chief instructors for solid schooling attitude and fruitful preparations for the master belt exams. Hanshi Jan Dyduch thanked Sensei Arkadiusz Pruszak 2nd dan representing OYAMA PKF Sponsor SKLADYWEGLA.PL for a great cooperation. In the evening participants of the exam gathered for a traditional party / SayonaraParty/ finishing the 15th International Schooling-Qualifying Oyama Karate Seminar in Poland. The party gathered over 100 people including the exam participants, chief instructors of Oyama karate clubs from all around Poland and invited guests. During the official part Hanshi Jan Dyduch thanked Grand Master and his wife Patricia for coming to Poland. Mr. and Mrs. Oyama received many gifts and flowers. OYAMA IKF Director honored all foreign guests with a gift and diploma for the presence in the seminar. Foreign guests went sightseeing with Sensei Robert Bretner 4 th dan. Individual and group sessions and a photo reportage was supplied by Radoslaw Dyduch. OSU! FOR THEIR ACTIVE PRESENCE AND FRUITFUL COOPERATION.